In Brief: The first fully enclosed designer outlet mall built in the Chicago area for more than two decades, the Fashion Outlets of Chicago offers more than 130 stores and is only minutes from O'Hare International Airport. 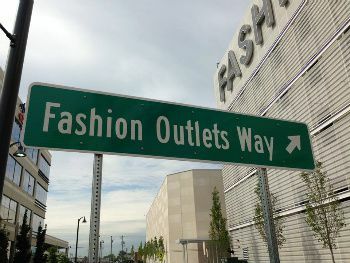 5220 Fashion Outlets Way, Rosemont, Ill. Extreme bargain hunters get another designer outlet mall option with the arrival of the Fashion Outlets of Chicago. The 530,000-square-foot destination offers enough space for 130 stores, which includes some of the most sought-after retailers, such as Bloomingdale's The Outlet Store, Neiman Marcus Last Call, Saks Fifth Avenue OFF 5th, Forever 21, Gucci, Tory Burch and Barneys New York. What's especially convenient for those traveling to/from O'Hare International Airport is that the mall is only 15 minutes away and features a first of its kind concierge service, which is operated by a TSA-certified company. Travelers have the options of checking luggage and printing boarding passes at the service. Additionally, regular shuttles operate to/from the airport and downtown Chicago hotels. Fashion Outlets of Chicago offers transportation to and from O’Hare International Airport and participating downtown hotels through a partnership with GO Airport Express. Visit GO Airport Express to see the complete schedule and shuttle information. The Arts Initiative, founded and curated by Arthur Weiner and Miami-based gallery Primary Projects, serves as an interactive visual arts project that will be an ongoing exhibition for the mall. Expect rotating exhibitions of contemporary artwork from local, national and international artists. Chicago Premium Outlets. For bargains on upscale merchandise as bags by Kate Spade and Coach to fashion by Giorgio Armani to Elie Tahari, the Chicago Premium Outlets collection of 120 outlet stores is a must for the materialist on a budget. Chicago Premium Outlets is located 45 minutes west of downtown. Gurnee Mills. Forty-five miles north of Chicago, Gurnee Mills has something for everyone. For the kids, attractions include the Reptile Zoo, Rainforest Café, Disney Store, Rink Side Sports and cineplex. And of course over 200 outlet stores for the grownups. Gurnee Mills is one of the most popular tourist attractions in Chicago. Huntley Outlet Center. Fifty stores with brand name merchandise, this outlet has recently undergone a major renovation and added stores such as Ann Taylor, Calvin Klein, Banana Republic and others. Located 50 miles northwest of Chicago, bargain shoppers will also notice the big blue Ikea store along the way.